Here on the Isle of Wight Spring comes early thanks to our southerly position and our unique maritime climate. We have got off fairly lightly compared to the mainland having only a little snow this winter, but still plenty of rain. Just been out for a bike ride this morning on a route I do regularly around Gatcombe and Carisbrooke, there have been so many changes in the hedgerows. 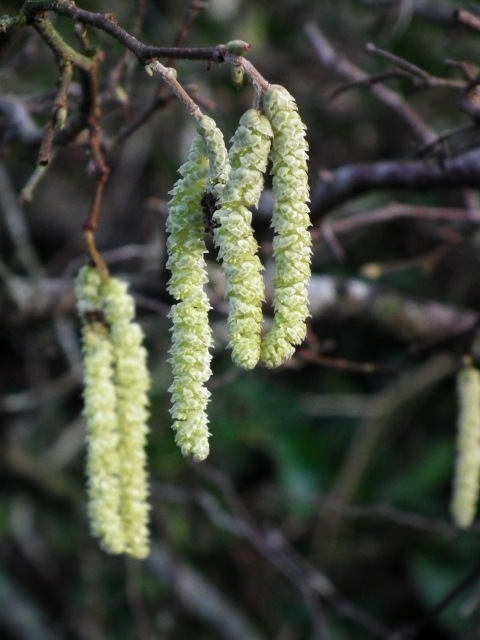 Catkins are waggling in the wind and buds on hedgerow plants are plumping up ready to open. Snowdrops have been out a couple of weeks, primroses and celandines can be seen here and there since December. Stopped to look at a cushion of delicate violets sheltering in a sunny spot they look far too fragile to cope with the weather but there they are. Birds are starting to pair up and start nest building is under way. Pigeons are getting amorous a sure sign that the start of spring is here.